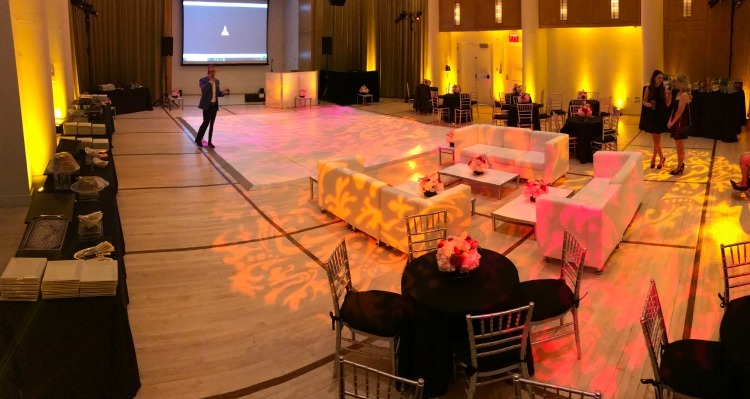 Event spotlights give us the opportunity to take an in-depth look behind the planning process of an event. 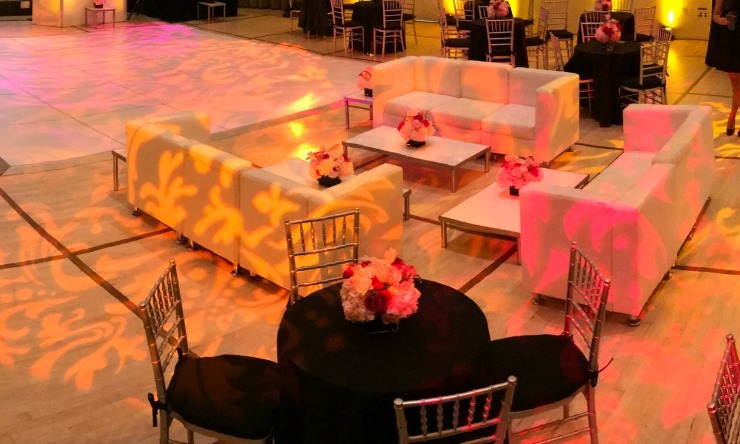 In today’s event spotlight, a member of the AllSeated team used AllSeated to plan a family event! Meredith has used AllSeated for previous family events, including her son’s Bar Mitzvah. 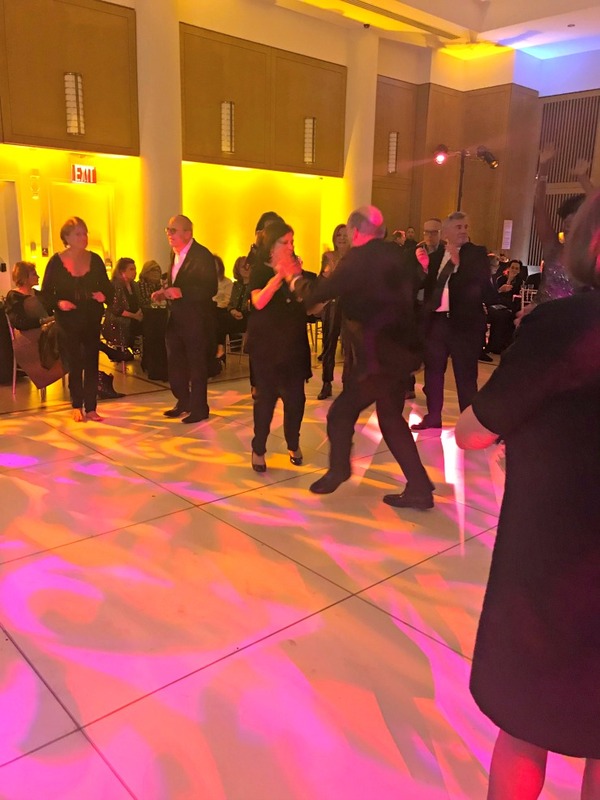 This time, she used the AllSeated platform to plan a special surprise 50th wedding anniversary party for her aunt and uncle who live in Manhattan. Meredith’s cousins asked for her planning assistance during the initial stages of the planning process. Of course, getting started in AllSeated for the event was their first step! The surprise party had a planning team of four family members who were all invited into the event to collaborate on the guest list, floorplan, and timeline. 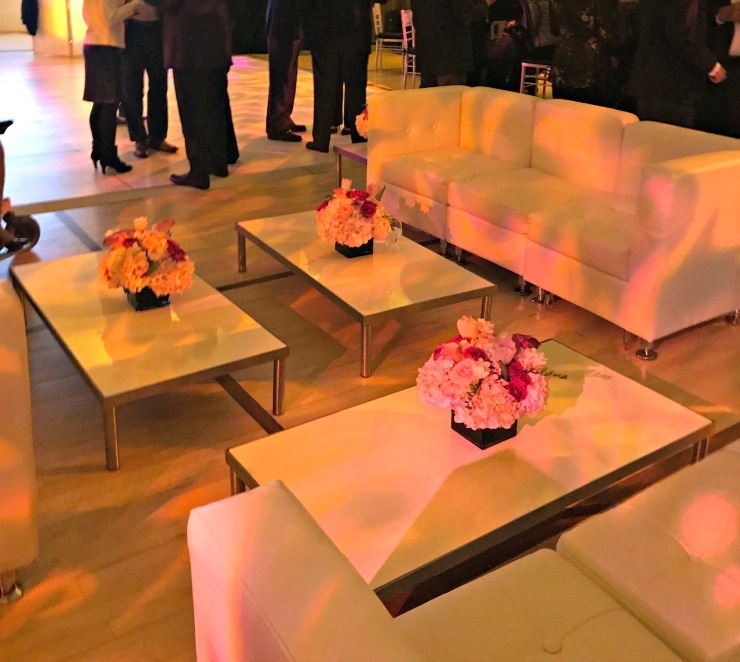 As a cocktail style party with a guest list of 100, they elected to do open seating with a mix of cocktail tables and lounge furniture. 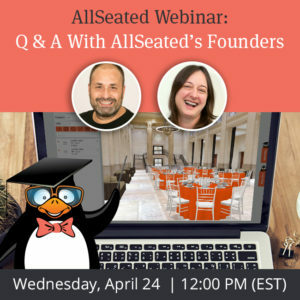 Using AllSeated made it extremely easy and efficient to keep the entire planning team up to date on details. Not only on the host side, but the vendor side too! As vendors were selected, each was invited into the event in AllSeated. NYFF Events played a major role in the planning. Josh Glatt of NYFF Events created the floorplan within AllSeated which consisted of a mix of lounge furniture, cocktail tables, buffet tables, lighting and a dance floor. 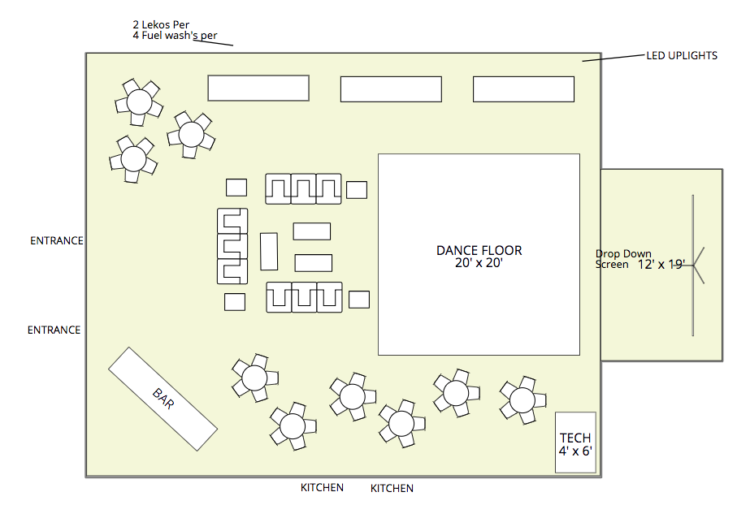 His floorplan layout assisted the planning team in envisioning the actual party. The floorplan he designed instantly made his vision clear to everyone involved. 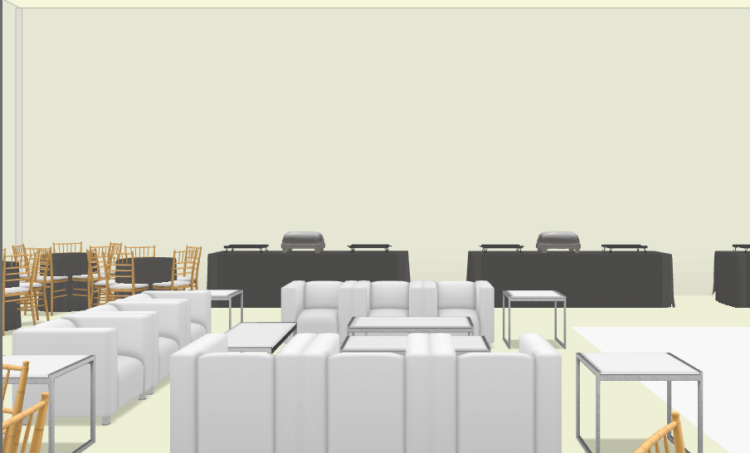 In fact, the planning team was blown away by the 3D viewing, which ultimately helped to finalize their selection of furniture for the event. This could not have been done without AllSeated. Visualization was key! 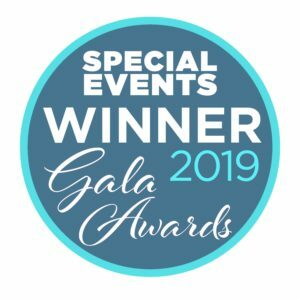 When working with Adam Leffel of Adam Leffel Productions on the floral arrangements, he was able to view the floorplan within AllSeated to best understand the table sizes and layout in order to effectively design the centerpieces for the party. Foremost Caterers used the floorplan layout as guidance for the layout. 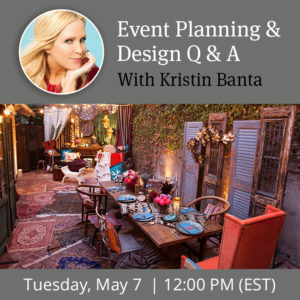 During the planning stages, it was really easy to reference the floorplan to discuss specific details on table sizing and placement which translated into a seamless set up (for all vendor teams involved) on the day of the event.